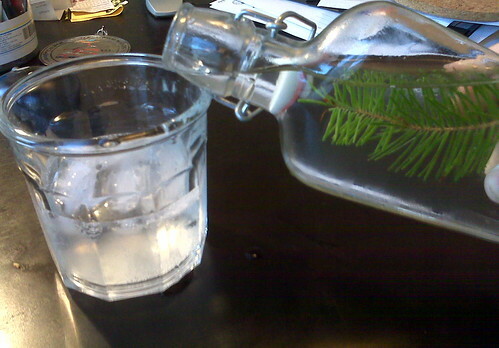 HM's Douglas Fir syrup made from fresh branches she received from the wilds of Montana. She calls it A Walk in the Woods. A glass of the soda was deliciously crisp and refreshing -- like taking a breath of cool fresh air in a forest of Douglas Fir.